Rolling green hills. Jagged cliffs with a mind of their own. Ancient ruins awaiting to share their stories. This is Ireland. And images of her scenery continue to win over the hearts of people all around the world. Maybe it’s the unparalleled shade of emerald found throughout the land. Perhaps it’s the unforgiving waves thrashing along the coastline. Or it could be the tranquil wildlife roaming softly in the distance. 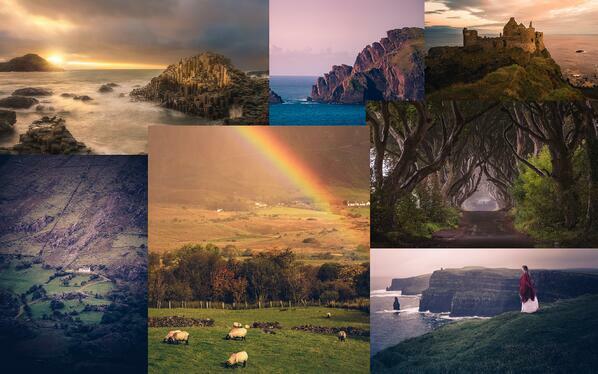 Whatever the reason, the camera’s love affair with Ireland isn’t going away any time soon. 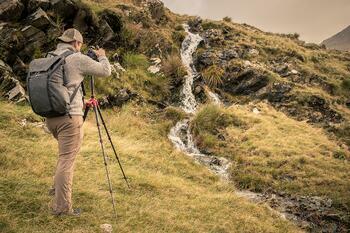 Photography is a great gateway to catching a glimpse of the Emerald Isle. It’s a country that truly cannot take a bad photo. But even the most photogenic places in the world need to be seen in person. What do you get when you combine a love of travel with photography talent? That’s where this story starts. In October 2017, Manuel Palacios and his wife Stephanie set off on a special trip to Ireland. Manuel, an outdoor and landscape photographer from upstate New York, had his sights set on the Emerald Isle. Like any good at his craft, Manuel knew a bit of preparation was in order before crossing the pond. He wanted to know more about conditions in Ireland prior to taking photographs. Manuel knew rain frequently falls in the country, but he wasn’t familiar with specifics. Through research and talking to experts at Crystal Travel, he discovered the weather in Ireland is unpredictable. Manuel also examined photos from other photographers throughout the internet. Though he’d seen Ireland’s imagery before, he wanted to really study the shots that were captured. His findings were a bit of a surprise. Manuel noted many of the photos, beautiful as they were, felt a bit repetitive. Ultimately, there appeared to be a lack of variety. Stunning places like the Cliffs of Moher and the Ring of Kerry certainly are photo-worthy. However, Manuel thought, a unique photography approach would provide a fresh look at such iconic locations. For the average tourist, the planning phase prior to a big trip revolves around the following questions: What clothes to pack? Which places to visit? What activities to do? How to get around? For a photographer, it doesn’t stop there. Manuel and Stephanie needed to determine where they would capture the best photos. Manuel took sunrise and sunset locations into consideration. He also knew he wanted to take photos of The Burren in County Clare. Its uncommon landscape and unique atmosphere are the likes of a photographer’s dream. 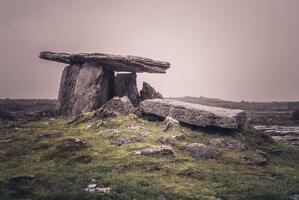 The couple also wanted to find hidden gems and capture the less-photographed Ireland. He determined these areas would give him the unique shots he was looking to take. After speaking with Crystal Travel experts about this in more detail, Manuel and Stephanie had a clear idea of where to find these spots throughout the country. This would be the couple’s first trip to Ireland, and they were ready to make it a memorable one. With Crystal Travel’s help, Manuel and Stephanie had a detailed itinerary to guide them. They chose to stay in B&B’s for a more authentic Irish experience and rented a car to come and go as they pleased. With bags packed, tickets in hand and smiling faces, Manuel and Stephanie flew from New York to Belfast. Their trip route entailed starting along Northern Ireland’s Causeway Coast and making their way south to County Cork and Dingle. Their journey would last them a week and a half before flying out of Shannon Airport and heading home. During their time in Ireland, Manuel and Stephanie made the most of their adventures. Manuel's photos captured the essence of the Emerald Isle in every which way. From the rocky Giant's Causeway to the placid Dingle Peninsula and everything in between, the imagery showcases Ireland's beauty. *Stay tuned for an update of this post with the journey told from Manuel and Stephanie's perspectives.